MIC20XX family of switches are current limiting, high-side power switches, designed for general purpose power distribution and control in digital televisions (DTV), printers, set top boxes (STB), PCs, PDAs, and other peripheral devices (see Functionality Table and Pin Configuration drawings) MIC20XX family's primary functions are current limiting and power switching. They are thermally protected and will shutdown should their internal temperature reach unsafe levels, protecting both the device and the load, under high current or fault conditions. Features include fault reporting, fault blanking to eliminate noise-induced false alarms, output slew rate limiting, under voltage detection, automatic-on output, and enable pin with choice of either active low or active high enable. The FET is self-contained, with a fixed- or user-adjustable current limit. The MIC20XX family is ideal for any system where current limiting and power control are desired. The MIC201X (3 ≤ x ≤ 9) and MIC2019A switches offer a unique new patented feature: Kickstart™, which allows momentary high-current surges up to the secondary current limit (ILIMIT_2nd) without sacrificing overall system safety. 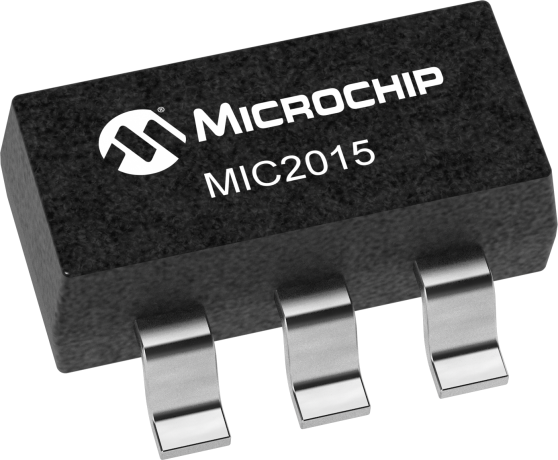 The MIC20XX family is offered, depending on the desired features, in a space-saving 5-pin SOT-23, and 6-pin SOT-23 packages. *Please refer to datasheet for appropriate feature options available per part number.